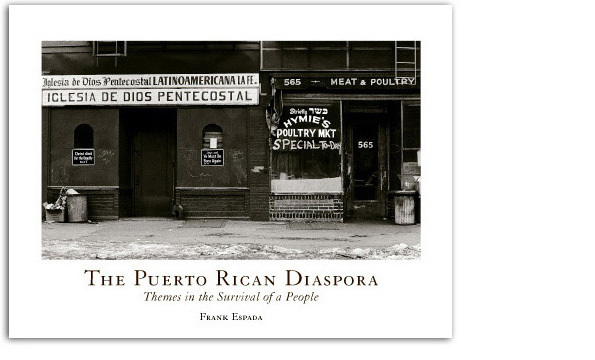 This book is one of the results of a three-year effort—funded by the National Endowment for the Humanities from 1979 to 1981—which proposed to document the dispersal of the Puerto Ricans in the mainland and Hawaii. It is a long and sometimes tragic story, starting at the turn of the century, when the Hawaii Sugar Planters Association recruited over 5,000 Puerto Ricans to work the sugar cane fields of Hawaii. Since then, more than three million have been forced to leave the island, primarily seeking employment and a better life for their children, leaving an island in constant economic crisis, unable to sustain its people. The project entailed documenting in more than 30 Puerto Rican communities throughout the mainland and Hawaii, culminating in the story of some of those who gave up and returned home. It is a story fraught with the every day struggles of a people being constantly reminded of the fact that they are second class “citizens”, with all of the attendant hardships this implies. But the story is more than one of pain and worry, for among us are hard-nosed heroes who have dedicated their lives to improving our situation. It is also about our ability to preserve our culture: language, food, music, and, most important, our dedication to our families. The book, although containing over 230 images, can only scratch the surface of a community in a constant state of change. We hope we have given them voice, and the respect they so richly deserve.